Any item that you purchase from us comes with a 5 year guarantee for any manufacturing faults that occur within this period. 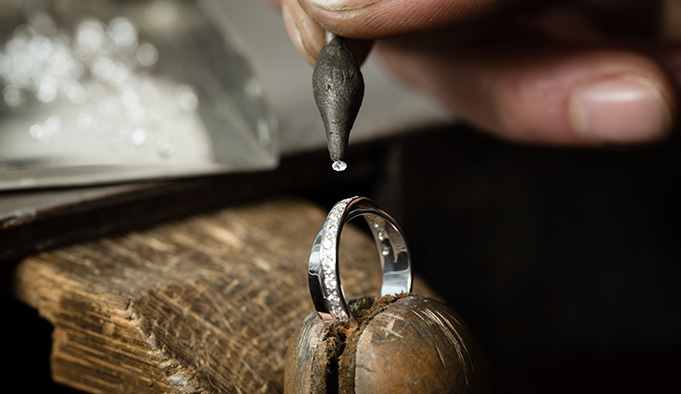 We only offer a Repair/Cleaning service for rings made by Purely Diamonds. Unfortunately we can't repair or clean/polish rings that we did not manufacture. Will there by any charge for the repair work? Provided there is no sign that the item has been accidentally damaged by you in some way, almost all repair work will be free of charge. If you have damaged the ring, we will still repair it but there may be charges involved. These will be explained to you before any work is carried out and charges are minimal in most cases. If a stone has become loose in the setting, this will be rectified completely free of charge, provided there is no sign that you have damaged the ring. For rings with Emeralds: Please be aware that Emeralds are much softer than diamonds and other gemstones, they can break/chip more easily, so extra care must be taken when worn regularly. We recommend insuring your emerald jewellery, just incase of damage or loss of stones as this will not be covered under our warranty. Usually we can rectify any problems within 3-5 working days but this does vary depending on the individual item and repair work that is involved. Need a piece of jewellery repaired?